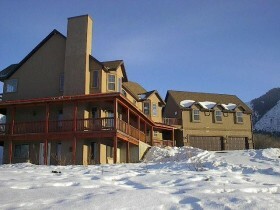 Elk Ridge Homes for Sale; Elk Ridge Utah Bank Foreclosure. Our search offers the best online, live search engine in Utah County. The search has listings of all Elk Ridge homes, condos, and townhomes for sale. When you subscribe to our Buyer's Club you will receive daily emails of every new listing and price change within your search criteria. You will have free unlimited access to every home listed for sale in Utah County. When you use our Elk Ridge, Utah search you can save favorites, rank the one's you like, and make notes. If you have questions about the homes you have seen, Team Teasdale Realty will be able to view your list with you. This makes exchanging information fast and simple. Buyers love that our search points out which homes are Bank Foreclosures in Elk Ridge and which ones are Short Sales in Elk Ridge. You will be able to find the Fannie Mae and Freddie Mac Bank Foreclosures and HUD Homes on the first day they come for sale. Be the first to know when a great deal has arrived. Feel free to visit our site as often as you wish. Interior Feat: Closet: Walk-In; Dishwasher, Built-In; Gas Log; Jetted Tub; Kitchen: Second; Mother-in-Law Apt. Remarks: One of a kind home at the top of the subdivision surrounded by the beautiful foothills. Awesome valley and mountain views! Interior has an appealing cabin decor. Features include a kitchen in the basement and a self contained apt above a huge 3 car garage. Buyer to verify all listing info. What is Your Elk Ridge Utah Home Worth? At the end of each home's information on the CMA report there will be a brief statement provided by the listing agent from Team Teasdale Realty. We are very experienced at evaluating homes in Elk Ridge. This statement is usually a combination of fact and subjective opinion, and will generally cover selling restrictions or selling points. It could be anything from "seller's agent must be present at all showings" to "kitchen and master bath completely remodeled in 1997" to "Charming! Must see!" For privacy reasons the CMA that is offered for public consumption does not list every piece of information that has been obtained by the seller's agent. It will give the what, when, where, but it won't give the who (the seller's identity) and the why (why the home is being put up for sale.) The reasons are two-fold, to protect the seller's privacy and to keep from inadvertently giving the buyer an advantage in a distress situation. The CMA we will provide you on your Elk Ridge home is clearly a selling tool, but like any tool, it doesn't work very well by itself. It takes a good Realtor to be able to use it. For this reason, the CMA will always need to be interpreted by a professional or with complete objectivity by the seller or buyer. If you would like to know the value of your Elk Ridge home let us know. We can give you a quick online analysis or we can come over to your home. The visit is completely free. Tell us about your dream home in Elk Ridge, Utah. Hire a Elk Ridge, Utah Realtor. Would you like a free CMA (Comparative Market Analysis) on what your Elk Ridge Utah Home is worth?